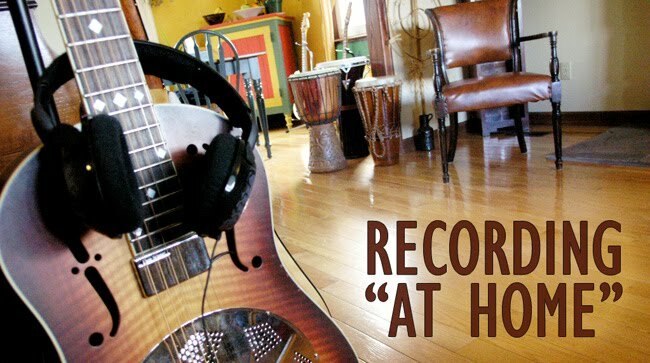 Recording "At Home": What now? All of the official CD release shows are done, and the memorial service for Jane's father is completed. It's been an intense time. The work now continues in many different ways. As much as we would have liked to, we haven't had the time to apply for every folk/roots/blues festival, and send CDs to every radio host and music reviewer. I'm launching into that this week. I'm connecting and following up with every presenter and venue owner I know to get gigs in 2012, and the calendar is starting to take shape. Respectful persistence pays off. I'm not a big fan of driving distances—especially in snow storms, so I tend to let January and February slide. I'm having knee surgery on January 9 for a cruciate ligament I tore a year ago playing soccer, so that'll lay me up anyway. I feel fortunate that I also have a deeply meaningful career as a therapist to sustain me when I need some down time. Winter will also be a good time to focus on new songs, getting Jane's full-length CD into pre-production, and getting to the final draft of a book I've been meaning to write for years now. Never a dull moment! Hell yeah! Jane is up! ... Lets rock it! Drop by on Boxing Day widda widdle kit and we will!